Khalaim, A. 2007. 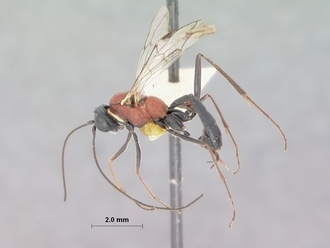 First records of Meggoleus, Heterocola and Phradis (Hymenoptera: Ichneumonidae: Tersilochinae) from the Afrotropical region, with description of four new species. African Invertebrates 48: 101-110. Khalaim, A.I. 2009. 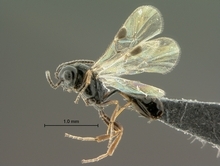 South African species of Aneuclis Förster, 1869 (Hymenoptera: Ichneumonidae: Tersilochinae). African Invertebrates 50: 123-136. Khalaim, A.I. 2010. To the study of Afrotropical species of the genus Aneuclis Förster, 1869 (Hymenoptera: Ichneumonidae: Tersilochinae). Zoosytematica Rossica 19: 120–123.